In this photo feature, we follow M.S. 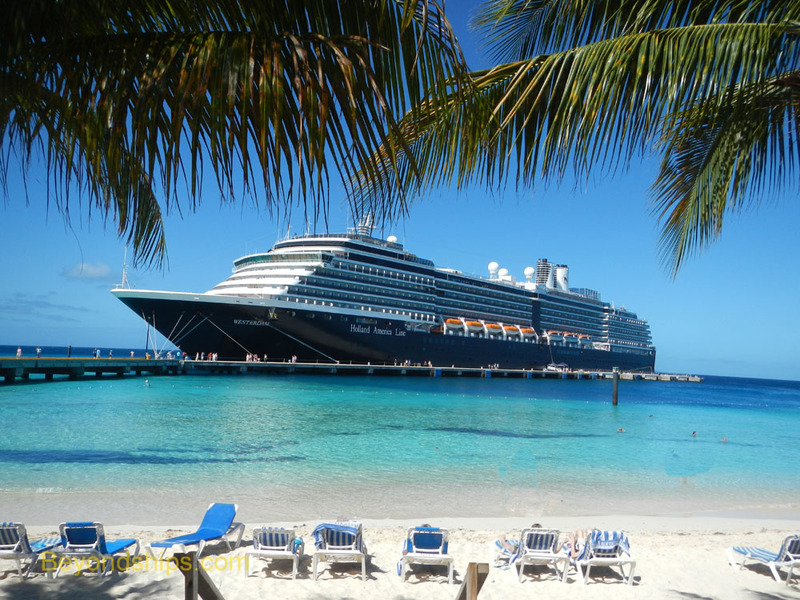 Westerdam on a seven-day cruise around the Caribbean. 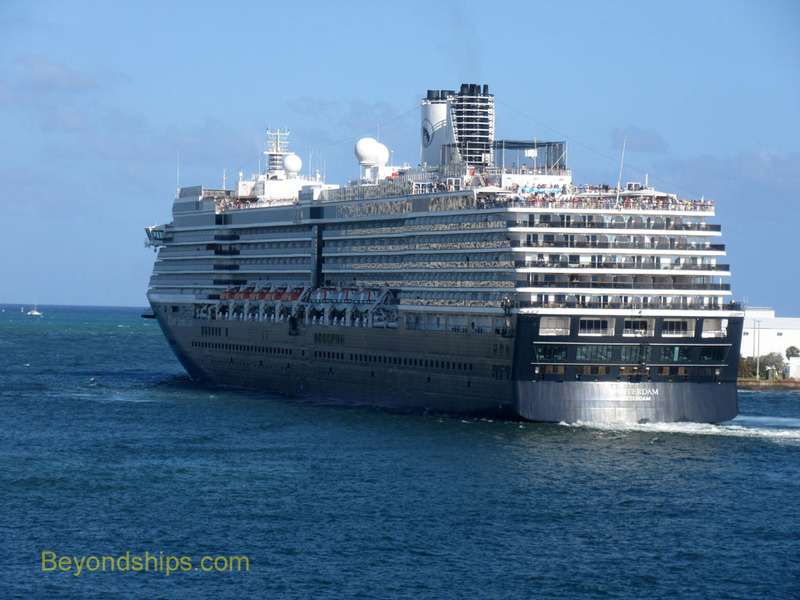 The cruise began in Fort Lauderdale. 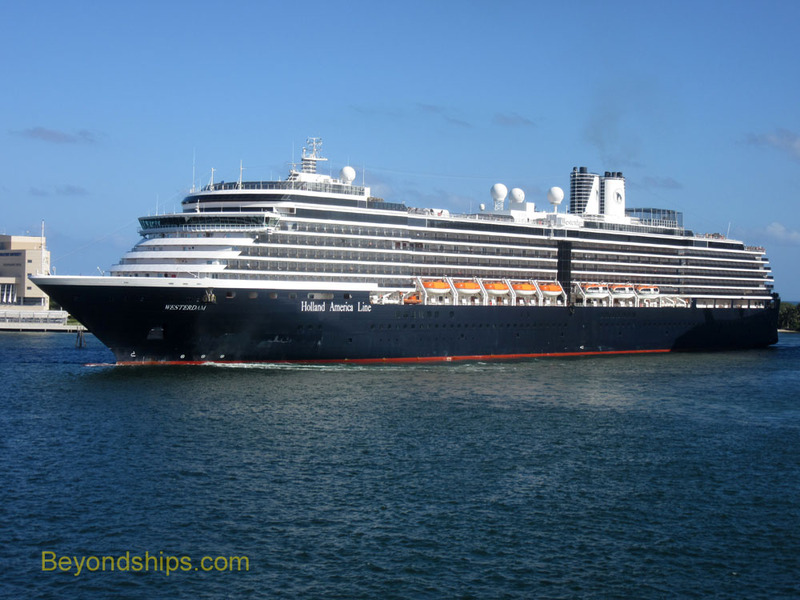 As five p.m. approached Westerdam cast off her lines and sailed past Liberty of the Seas into the main harbor area. She then turned to starboard and proceeded out the entrance to the harbor. 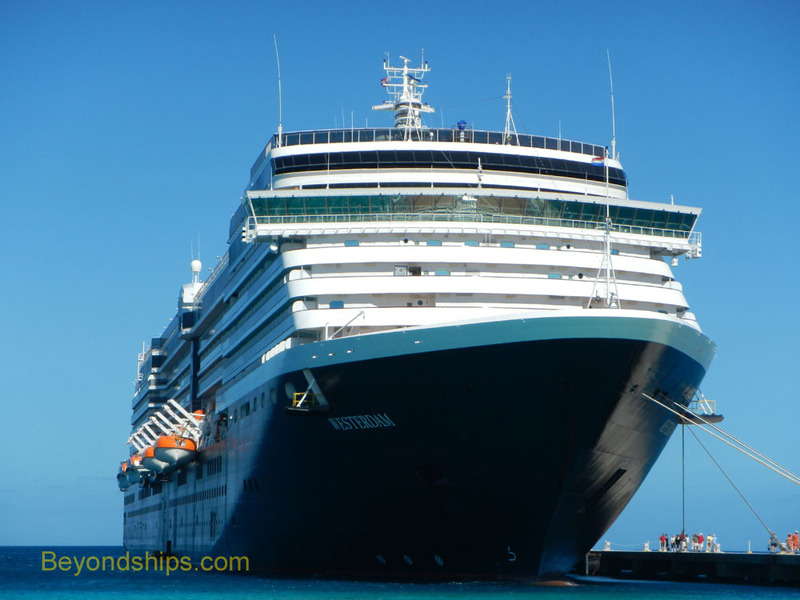 After a day at sea, Westerdam arrived in Grand Turk. 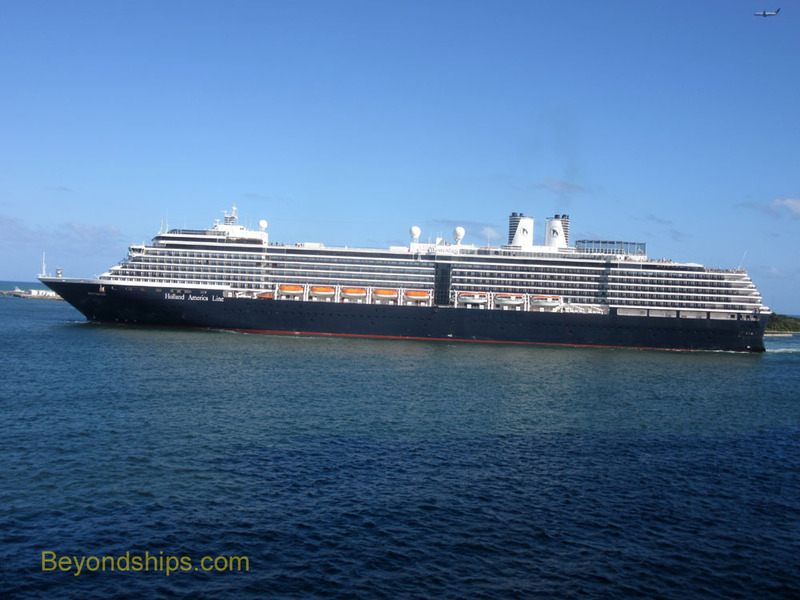 The seas were calm and Westerdam had no difficulty maneuvering through the shallow water to reach the cruise ship pier. The pier leads to a cruise port with shops, bars and a white sand beach.